Hjem » nyheterogmedia » BREAKING NEWS!!! New RESEARCH on MediYoga in The USA! 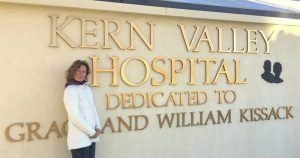 Kern Valley Hospital Foundation and Kern Valley Hospital together with Helen Miller Lynch, MediYoga USA, received a Grant from Dignity Health to do research on MediYoga and heart health. Meaning: we are getting a heart health and MediYoga study in USA!!! Starting in Mars 2017 and includes 80 patients. Wow! Congratulations to Helen Miller Lynch. Good job! And of course we will keep you posted!